The American actress and singer Lena Hall published this picture on her Instagram account. 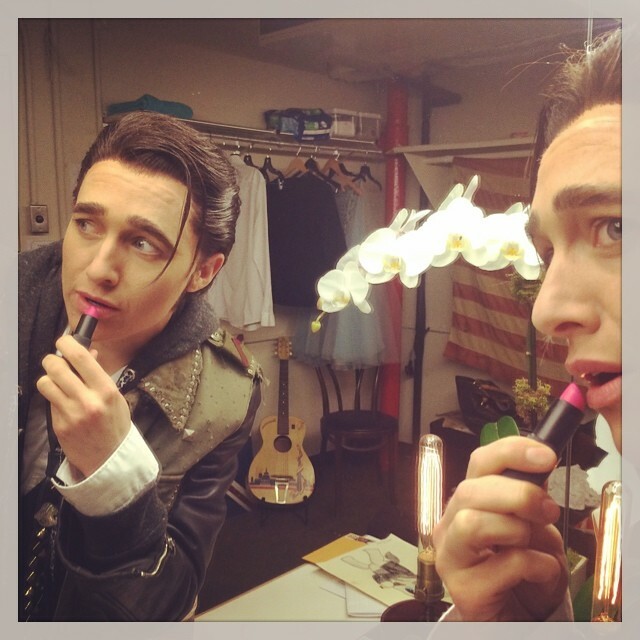 She was dressed as Yitzhak, one of the protagonists of Hedwig and the Angry Inch. She had this role in the musical’s revival on Broadway, thanks to which she won a Tony Award as Best Featured Actress in a Musical in 2014. In the picture she was holding a NARS lipstick and in the caption she mused: “Trying not to get caught by Hedwig!”. Now the point is: Schiap or Funny Face? What is the exact shade of that lipstick? 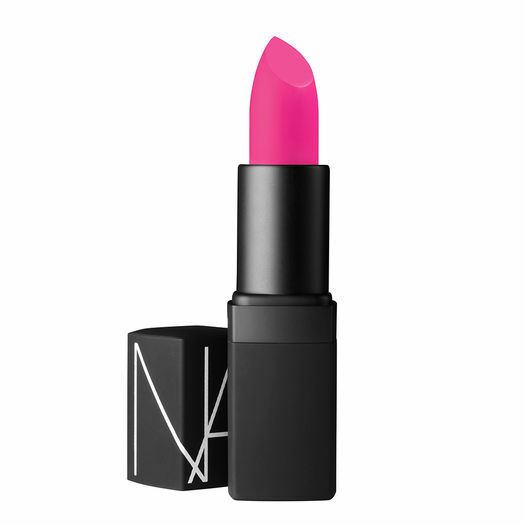 It looks more the wonderfully fun fuchsia than the shocking matte pink inspired to Elsa Schiaparelli. What’s your guess?